Thank your friends and family for taking part in your special day with these thoughtful wedding party gift ideas that won’t break your budget—our amazing selection starts at just $9.95. On the big day, gift your maids pretty keepsake jewelry that’s dainty enough to wear every day. We guarantee they’ll think of you each time they put them on. 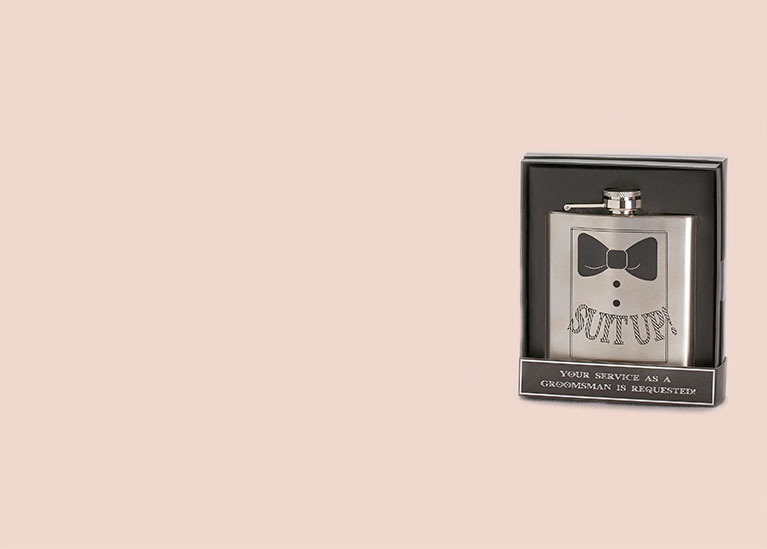 If the groomsman are aficionados of the finer things in life, consider a fun flask for their favorite spirits. Bonus points if you fill it up for them! Every mom loves reminiscing about her child’s wedding; now she can fondly remember the big day every time she enjoys her morning coffee or afternoon tea. Dear old dad may think he’s a tough guy, but we suspect he may shed a tear or two on your wedding day. Have a handkerchief at the ready for when the emotion moves him. 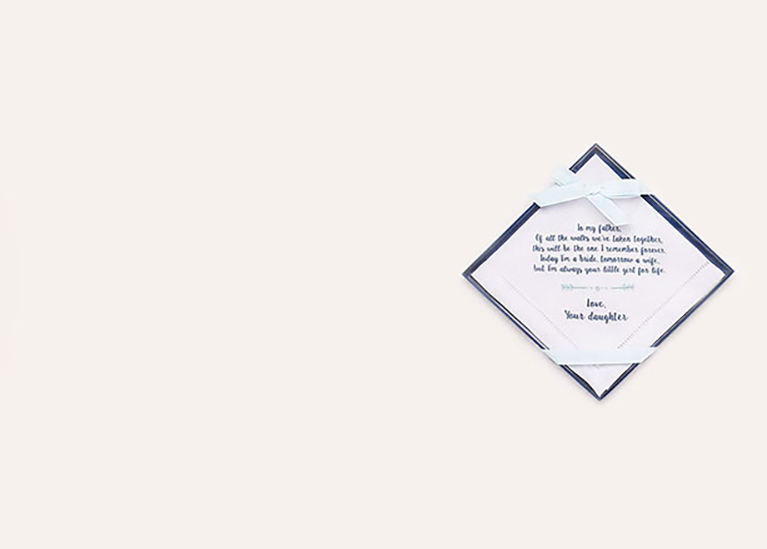 Write your true love a heartfelt noteand ask a groomsman to deliver it tohim right before the ceremony. We guarantee he’ll appreciate the gesture. Don’t forget your furry friends! 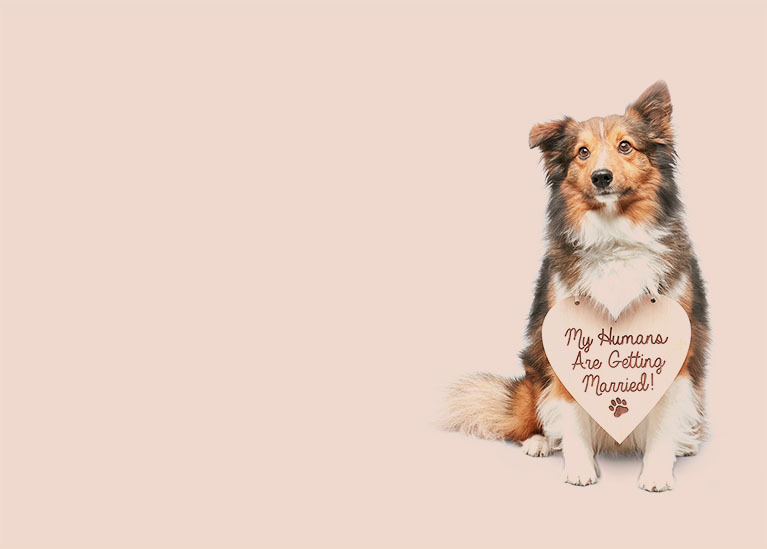 Is your pup a part of your ceremony? If so, consider outfitting them in a super-cute sign, bandana, or tutu. Nothing’s going to happen to those rings on his watch! Show your number-one little dude how much you appreciate his help with a goofy tee. For the sweetest member of your bridal squad, choose something soft and snuggly, like a personalized teddy bear. loves to have, but won’t necessarily think to buy themselves. Cute pajamas are a must-have gift for every bride-to-be. For the honeymoon and beyond, they’re sure to make her smile. 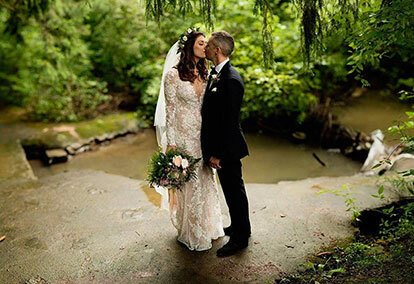 As your wedding day approaches, it's important to recognize the people who helped get you here. 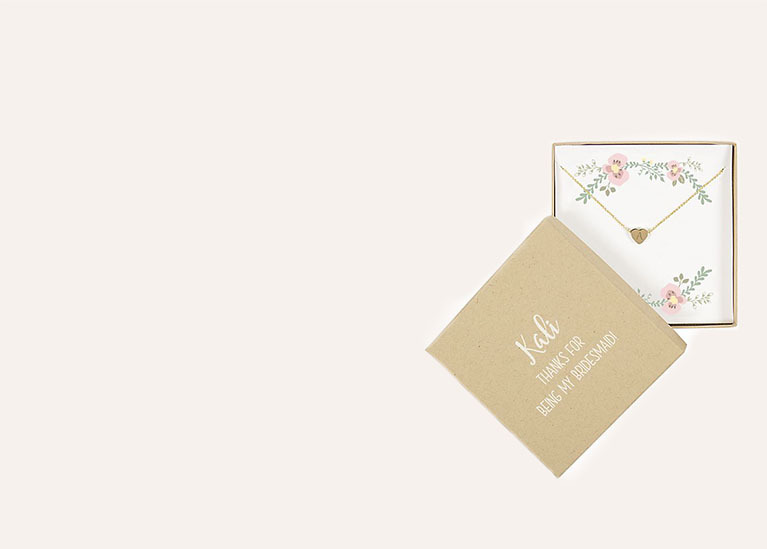 Select heartfelt gifts for every special person participating in your big day. 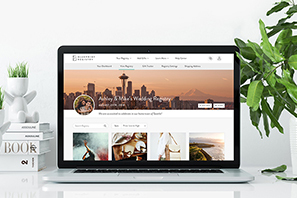 Find inspirational gift ideas for old family, new family, friends, and romantic partners with the Wedding Party Gift Guide from David’s Bridal. As the mother of the bride, your mom deserves some special treatment for everything she’s done to help you reach this milestone in your life, just as the mother of the groom deserves your gratitude for raising the man of your dreams. 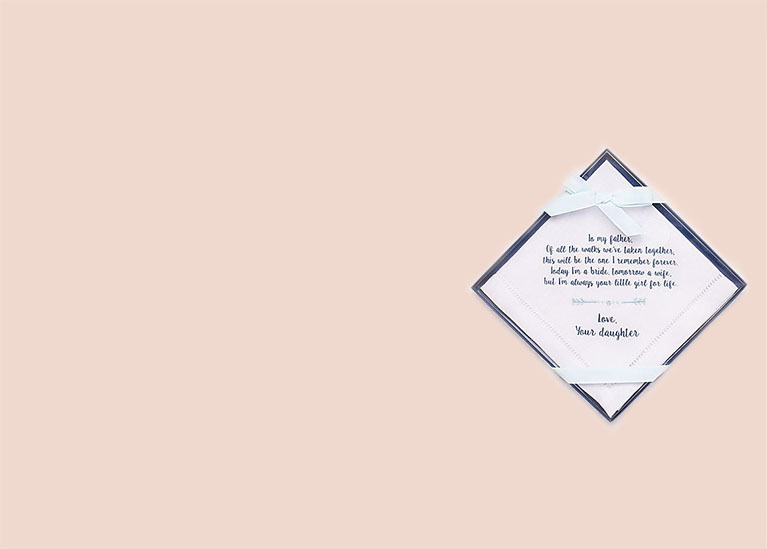 Give these one-of-a-kind women thoughtful mother's keepsakes that they can cherish forever, like memory boxes and embroidered handkerchiefs. Your dad was the first man to fall in love with you. 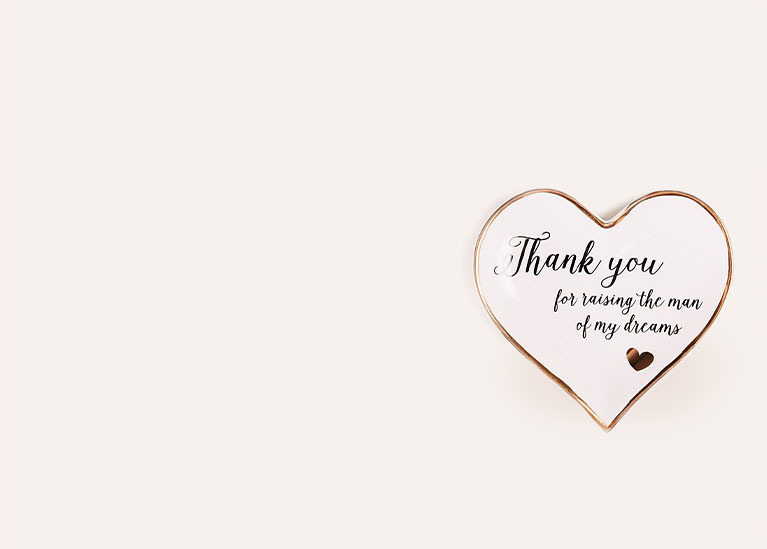 Show him just how much you love him back with sentimental gifts featuring free personalization options for an extra special touch. Classic pocket watches and cufflinks make the perfect mementos for the bride and groom's fathers to use on your wedding day and beyond. 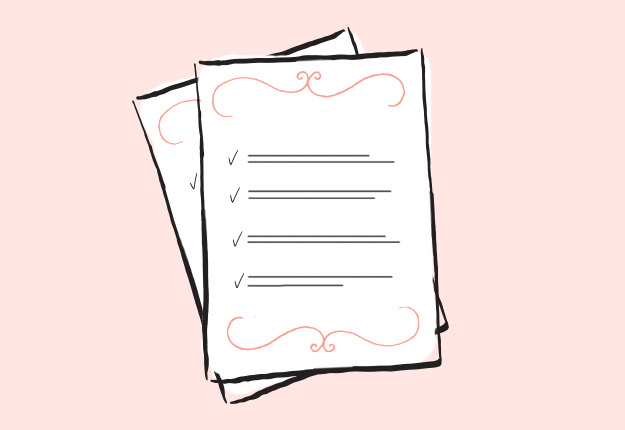 Your bridesmaids and maid of honor agreed to stand by your side and support you as you marry the love of your life. 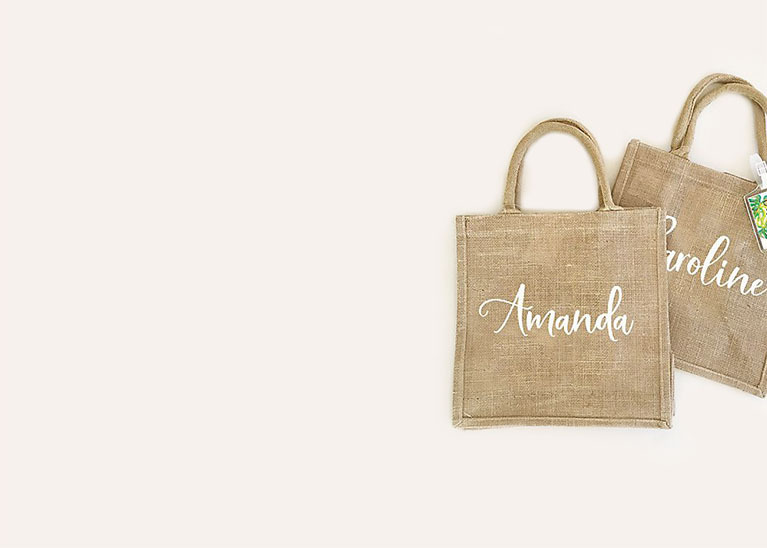 Show your appreciation for their loyalty and friendship with items they can use to get ready for the ceremony, like monogrammed robes and makeup bags. 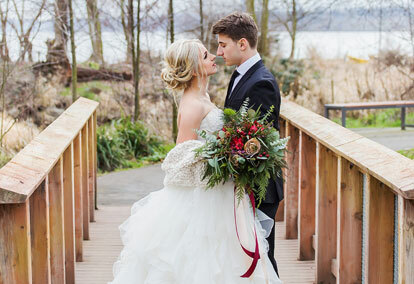 Your husband-to-be’s best man and groomsmen helped shape him into the amazing man he is today. Help him say thank you with our unique groomsmen gift ideas, including barware, travel gear, and accessories with a personalized touch. Remember to thank the youngest members of your wedding party, too. 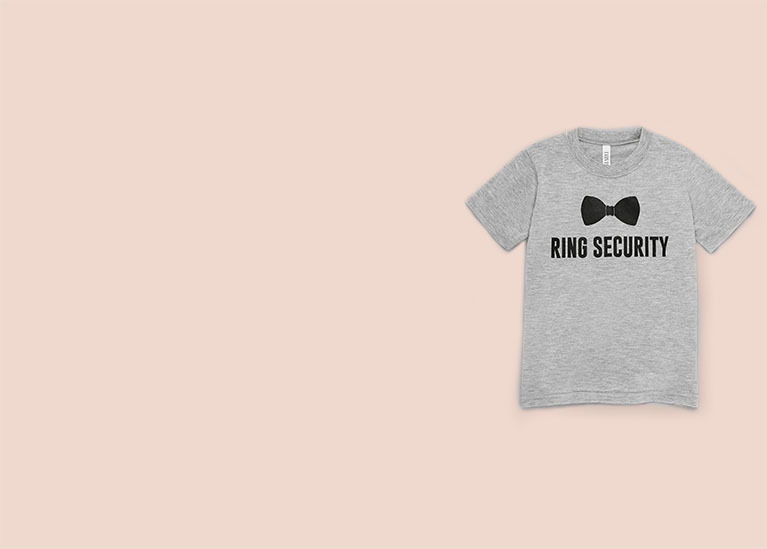 Find adorable apparel and cute gifts to help your ring bearer and flower girl embrace their roles in your wedding. You found your perfect match — now you just need the perfect gift for him. Go the sentimental route with tie clips engraved with a special message, or opt for practical travel items he can take on the honeymoon. For the groom with a great sense of humor, choose comical tees and amusing accessories, like socks to help prevent cold feet! 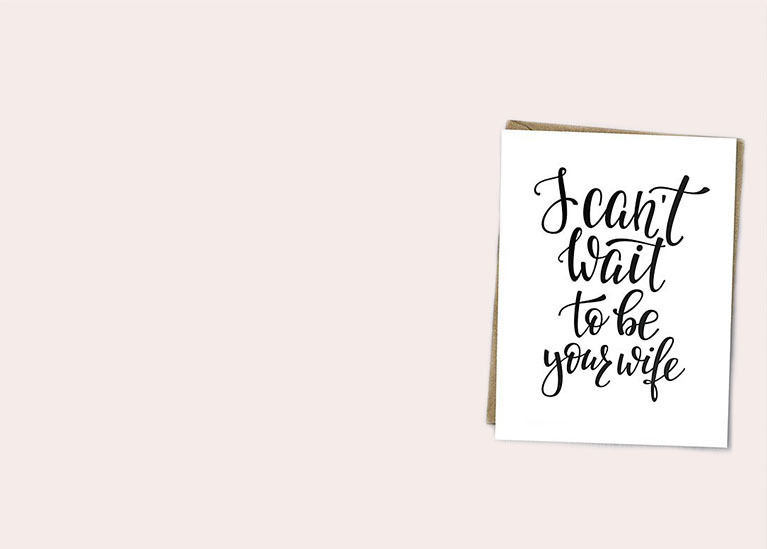 She’s the blushing bride and your soon-to-be wife, so she deserves gifts that make her feel special and loved.  Select beautiful jewelry boxes adorned with her name so she can stash the special trinkets she collected for her wedding day. Top off the perfect gift with monogrammed jewelry and stylish apparel and sleepwear she can show off on your honeymoon. 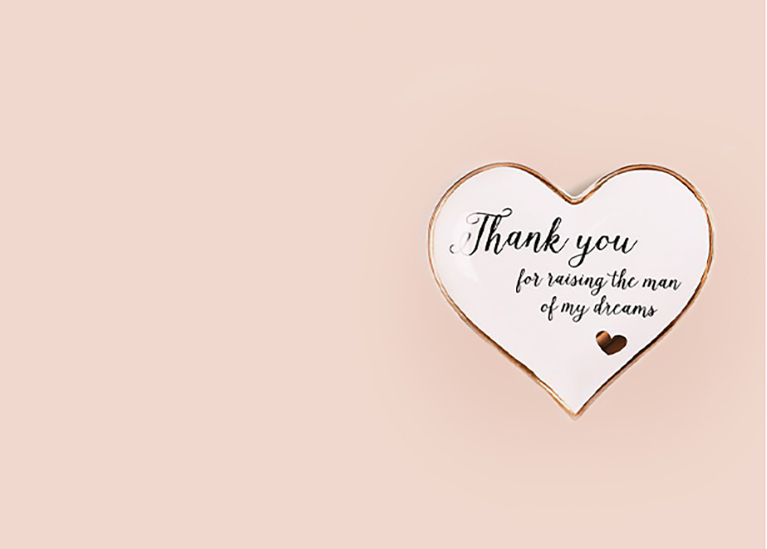 With all the wedding party gift ideas we have at David's Bridal, saying thank you is the easiest part of planning your special day. 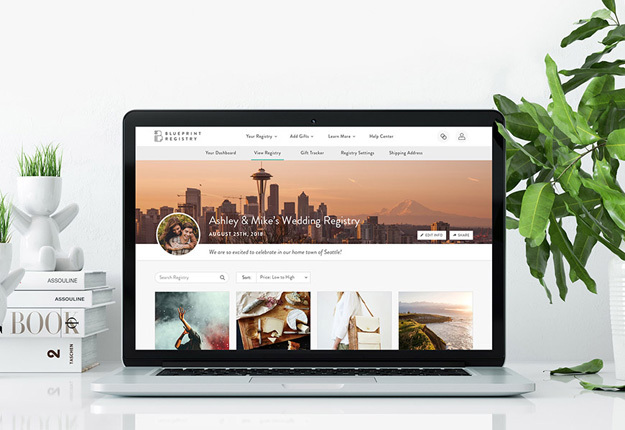 Browse by category to find the perfect presents to honor your parents, in-laws, bridesmaids, groomsmen, and the person you plan to spend the rest of your life with today.